Kao-k'eng, Taiwan - No. 107 Sanduo 3rd Rd. 1. accommodation includes Chinese&Western buffet breakfast served from 7:00am to 10:00am. 2. Free courtesy bus service from hotel to Kaohsiung R8 station. 3. Free shuttle bus service from hotel to Love River and Liouhe night market. 3. Public computer with wireless Internet access available 24 hours daily. 4. Unlimited Hi-Speed Broadband Internet access in guest room. 5. Free bike Rental service. 7. Ground coffee is served 24hrs daily. 8. Self-service Laundry and steam ironing/ironing board can be requested at reception Desk. 9. Sightseeing & Tour information inquiry at reception Desk. 12. Taxi reservation request at reception desk. 13. Motorcycle rental request at reception desk. Economic room one double bed, including breakfast and Internet access. Equipped with multi-channel 26-inch flat TV and necessary bathing utility & accessories is maintained in very neat condition. ideal for budget travelers and backpackers. 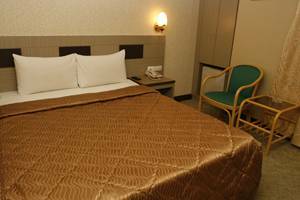 Standard Private Twin Room ■Accommodate with two standard single beds with free breakfast and high-speed internet access. ■The guestrooms are renovated and decorated in elegant furnishing with woolen carpet, -equipped with comfortable bed configuration, -air conditioning, multi-channel 26-inch flat TV, -closet, -dressing table, -refrigerator, -hairdryer -and boil kettle. Coffee, tea packs and 2 bottles of mineral water are freely available. ■The bathing utility and accessories with bathtub/Shower is maintained in very neat condition. 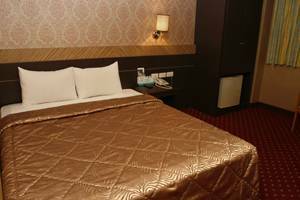 The guestroom are most suitable for backpackers and budget group travellers who do not want to sleep in one double bed. Family Room for 4 persons ■Accommodate with twin double bed with free breakfast and high-speed internet access. 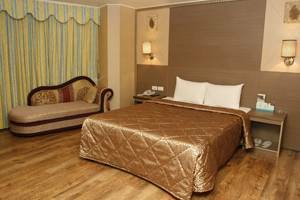 ■The guestrooms are renovated and decorated in graceful furnishing with woolen carpet in ample space, -equipped with comfortable bed configuration, -air conditioning, -multi-channel 32-inch flat TV, -closet, - dressing table, -refrigerator, -hairdryer -and boil kettle. Coffee, tea packs and 2 bottles of mineral water are freely available. ■ The bathing utility and accessories with bathtub/shower is maintained in very neat condition. 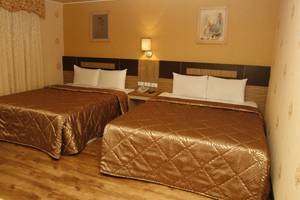 The guestroom in ample space creates comforting, relaxing and warm ambience offers the perfect choice whether for leisure/family travelers. Sanduo Business Hotel is situated at the heart of vibrant Sanduo district in Kaohsiung for transporation, commerce and entertainment. It is extremely convenient to access variety of entertainment - 10mins walk to SOGO, SHIN KONG MITSUKOSHI, FE21' Mega department stores as well as Singjhong, Jhong-Siao Night markets to experience Taiwan rich food culture. It is also very convenient to access variety of Kaohsiung attractions via MRT R8 station (Sanduo business district). 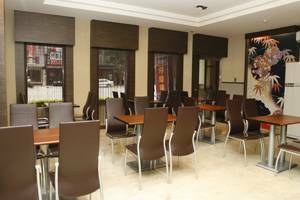 Sanduo Business Hotel also provides free shuttle bus to famous attractions such as Love River & LiouHe night market. There will be no cancellation charge if a booking is cancelled before 3 days before your date of arrival. if booking is cancelled later or in the case of no-show, the full amount of your booking for 1st night will be charged. No. 107 Sanduo 3rd Rd. 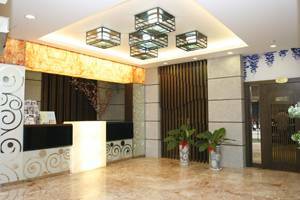 The hotel is about 10minutes drive from highway or from Kaohsiung Railway station. Take Kaohsiung MRT Red Line R8 station and get out by No. 4 Exit. Walk about 10mins along Sanduo 3rd Road, passing by SOGO, SHIN KONG MITSUKOSHI department stores, will see Sanduo Business Hotel Signboard. Kaohsiung MRT to R8 station(Red Line), Exit 4.